In a post election slump? Need something to distract you from your annoying job? Or do you just want to brighten your day a little bit at a time? Well, you’re in luck, because we’ve found 11 ways to digitally self care and in the process have a happier and healthier day. Seriously, we know that life after Election Day can be rough and you might be in need of a break from reality, so why not turn to technology? We aren’t talking about reading the latest news story about whatever is currently bothering you, or going insane re-reading whatever you were told to before that horrible history class you have later today, we mean fun, light-hearted sites and apps that are the perfect distraction for everyone. From sites that are meant to make you feel zen, to adorable pictures of puppies that will definitely make you smile, we’ve found something for everyone that will be just the right boost you need to push through any down day — and you can use them over and over again, obviously, because let’s be honest these are tough times! Seriously, anyone can do nothing for two minutes, right? This website — called donothingfor2minutes.com — is all about regaining your focus and calming your mind. You just stare at the pretty ocean waves on the screen and don’t look at anything else for two minutes. You’ll feel better in no time. Plus, you can always start over and over and over. OMG, llamas are ridiculous creatures and now thanks to llama font you can make any phrase into llama drawings. It’s so weird, but amazing at the same time. All you have to do is start typing and llama letters appear. You can try not to laugh as you type, but you won’t be able to, we’ve tried. If you’re not a llama person, or are simply a cat lady — aka the Taylor Swift of your squad — then we’ve got the site for you. 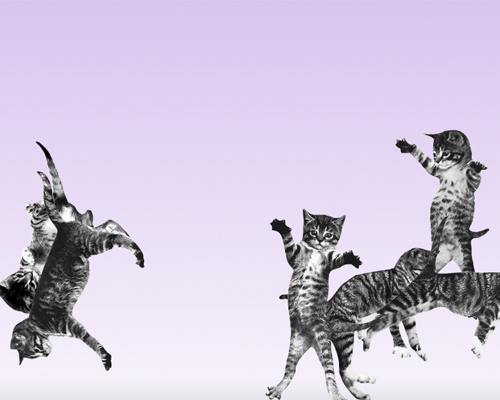 It’s called cat bounce and it’s just cats bouncing around on the screen. At first it seems strange, but you can make it rain and the cats change color. It’s so simple and so random that you’ll just start to smile. While this Rainy Mood app can’t give you that fresh rain smell — which we all love so much — it does play sounds of rain on a loop, which is so relaxing. Just close your eyes and listen to the rain sounds and breathe. Things will turn around. When in doubt just check out the latest from Awkward Family Photos and suddenly you’ll feel better about yourself. Trust us, it’ll work. There’s really nothing better to make you smile, even on the darkest of days, than videos of animals being adorable or doing funny things. We recommend you bookmark I Can Has Cheezburger in order to get your daily dose of laughter and animal fix at the same time. You know that feeling of release and calm after you’ve popped all the bubble wrap that came in your latest Amazon box to protect your toothpaste that you can’t live without? Well, now you can virtually pop bubble wrap and ease any stress you might have throughout the day. It’s genius and there’s no clean up or sadness once the wrap is all popped, because you can just restart. If you need a friend, you can turn to Talking Tom the cat, which is an app on your phone and basically a modern-day Tamagotchi. Tom talks to you, is adorable, and you can feed him, tickle him and treat him like your electronic pet, which let’s be honest, might be good distraction from whatever it is that’s got you down. Technically it’s made for kids, but everyone deserves a digital pet, not just children! Alright, so we know that clicking the “make everything okay” button on this site won’t actually fix your real-life problems, but it will make you feel better. 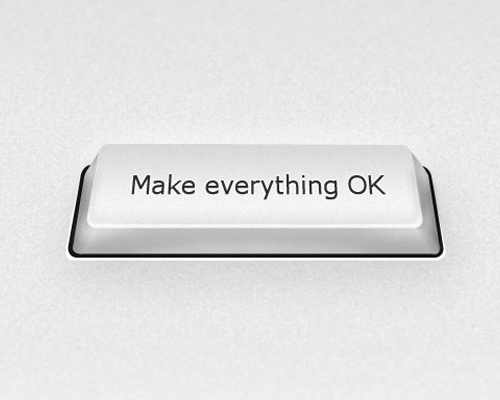 All you do is click the button and voila, everything is better, even if it’s just an illusion. This site is a daily meditation destination and it’s simply called, Calm. You can choose your setting, a sunset, a lake scene, etc. and then new meditation regiment or workout will start. There are different plans as well, some seven days, other 21 days, all of which help you find your daily calm. The Weather Puppy app is perfect for anytime of year and any type of weather. Now when you check the whether and a thunder storm is rolling in, it has a cute puppy with it, so you won’t feel so down in the dumps. Don’t be surprised if you start checking your weather app more than once a day for puppy cuteness. We hope these apps and sites help you regain your focus through the post-election drama and any other things that come your way. Fingers crossed they make you turn that frown upside down!